This race is now FULL. There will be no race day registration. We hope to see you at the Fall 5K/10K & Half Marathon on November 5 or the Jingle Jog 5K on November 24. A RaceVermont.com classic complete with views, history, friendly competition and familiar faces. This is one of our most popular, scenic races on our series and has sold out for many years. The 5K run begins and ends at the Shelburne Farms Coach Barn. Run past Lake Champlain, through the quaint farm grounds and on to the trails and fields before making your way past the Inn at Shelburne Farms, former home of William Seward and Lila Vanderbilt Webb, on your way to the finish line back at the Coach Barn. This race is limited to 175. Sign up early and be guaranteed a race to talk about for a long time. It’s an experience you won’t forget. Top 3 male and top 3 female finishers will be awarded prizes. A raffle of prizes donated by our sponsors will be held after the awards ceremony. You must be present to win. From the north: Take Route 7 (Shelburne Road) south until you come to the intersection with Bay Road. Turn right onto Bay Road (if you pass Shelburne Commons on your right, you’ve gone too far to turn onto Bay Road, but you can keep going and follow the “From the south” directions without losing more time.) Follow Bay Road to the stop sign (being careful as you pass under the very narrow railroad bridge). Go straight into Shelburne Farms, stopping at the gatehouse to check in with the Shelburne Farms staff. They will direct you to the Coach Barn. From the south: Take Route 7 north to the center of Shelburne Village. Turn left (at the Mobil Station) onto Harbor Road. Follow Harbor Road to the stop sign. Turn left into Shelburne Farms stopping at the gatehouse to check in with the Shelburne Farms staff. They will direct you to the Coach Barn. Parking is available in the field at the Coach Barn at Shelburne Farms. Please do not park up near the building, on the roads, or at the far end of the parking lot (the end nearest the Inn). Please consider helping for this event. Contact Rayne at: 802-316-7142 or rayne@racevermont.com. 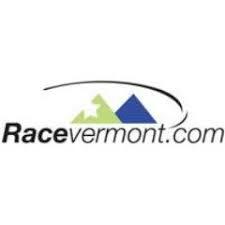 By volunteering at one RaceVermont.com race, you receive a free registration to another race of equal value up to 1 year from the date of the race for which you volunteered. Pre-race and race day information will be emailed to you prior to the race. Please be sure not to opt out of our emails, otherwise you will not receive this valuable information. If you have already opted out, please visit http://www.racevermont.com/sign-up-for-the-racevermont-com-newsletter/ to sign up again. We want everyone to have an enjoyable experience. Please take a moment to review the “RACER RULES” before the race. In consideration of the acceptance by sponsor of my entry in this event, I hereby waive any liability the sponsor may have arising out of my participation in this event. Furthermore, I acknowledge, agree and represent that I have read the rules and regulations of the event, and as a participant, I understand the nature of the activity required to participate in this event and the risks and dangers presented by such activity, including, but not limited to, serious bodily injury, permanent disability, paralysis and death, or the loss of personal property (“Risks”), and that I am participating in this event voluntarily and entirely at my own risk. Risks, regardless of the nature thereof, may be caused by my own actions or inactions, the actions or inactions of others participating in this event, the condition of the facilities or premises in which the activity takes place, or the negligence or willful misconduct of the Herzog Enterprises, LLC, RaceVermont.com Race Series, Shelburne Field House Inc, Deer Point Management LLC, Shelburne Recreation Department, Town of Shelburne, Town of Charlotte, Town of Ferrisburgh, City of Burlington, Shelburne Farms, and all sponsors of this race (collectively, the “Released Parties”). I fully accept and assume, to the fullest extent permitted by applicable law, all such Risks and all responsibility for any and all losses, costs or damages I incur as a result of my participation in this event. I hereby release, discharge, and covenant not to sue the Released Parties, and if applicable, owners and lessors of the premises on or in which the event takes place from all liability, claims, demands, losses or damages on my account caused or alleged to be caused in whole or in part by the negligence or willful misconduct of the Released Parties or otherwise, including negligent rescue operations; and I further agree that if, despite this waiver and release of liability, assumption of risk, and indemnity agreement, I, or anyone on my behalf, makes a claim against any of the Released Parties, I will indemnify, save and hold harmless each of the Released Parties from any litigation expenses, attorney fees, loss, liability, damage, or cost which any may incur as a result of such claim. If any term or provision of this Waiver and Release shall be deemed by a Court of competent jurisdiction to be invalid or to be limited by operation of law or otherwise, such term or provision shall be limited accordingly and the remaining terms and provisions shall be given full force and effect, it being my intention that the agreements and covenants made by me in this Waiver and Release shall be interpreted and enforced to the fullest extent permitted by applicable law. I hereby grant RaceVermont.com and its sponsors, and their respective employees, subcontractors, representatives, affiliates, successors and assigns (“Authorized Parties”) the non-exclusive and transferable right, without any compensation of any kind or nature due to me, (i) to photograph, film, videotape or otherwise record images and/or sound depicting me and my property during or in connection with participation in this event (hereinafter “Likenesses”); (ii) to use and publish such Likenesses for any lawful purpose in print and/or electronic media; and (iii) to use or omit my name from any such use or publication, all of the foregoing determined by any of the Authorized Parties in their sole discretion. I acknowledge and agree that (i) I have read and understood each and every term, provision, agreement and covenant made by me in this Agreement; (ii) I may not modify or amend this Waiver and Release orally; (iii) I have given up substantial rights by signing this Waiver and Release; and (iv) I have signed this Waiver and Release freely and voluntarily, without any inducement or assurance of any kind.